The recent Late Shows event, in mid-May, was really fun to take part in. 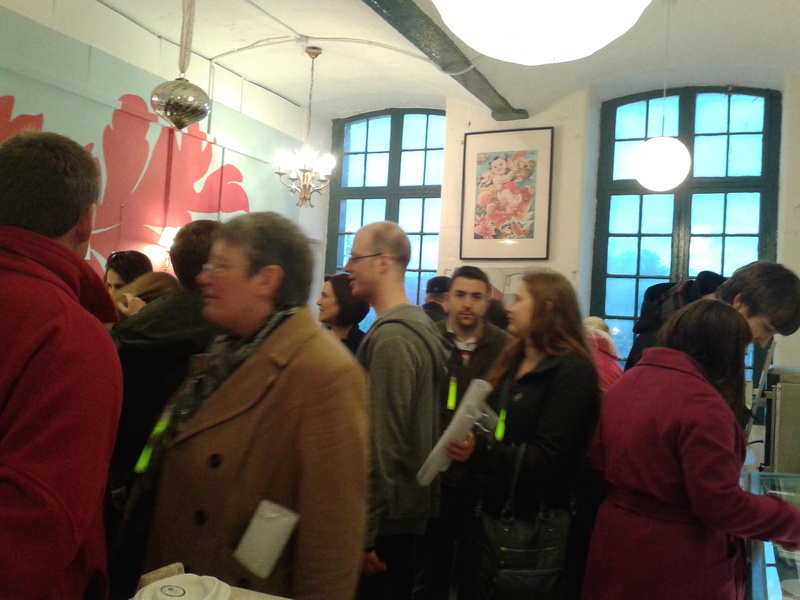 Lots and lots of people came along to look round the studios, including mine, at 36-Lime-Street, and I really enjoyed talking to everyone who visited. Because the event always takes place in the evening, you see people you’d not usually see. The idea is get the artists and general public to interact, instead of having the usual barriers, and it really worked. I’m a great supporter of both this event, as well as a similar thing we do in the autumn called Open Studios. My studio got quite crowded at times! This year, there was also an exhibition – featuring the work of the makers at Lime Street – in the complex’s foyer. Our enthusiastic curator, Maggie Walker, thought it would be good to theme it along the lines of responses to the ‘Arte Povera’ movement, which flourished in Italy in the 1960s. She gave us a complete blank slate for creating our reactions to the ideas of Arte Povera, which was both challenging AND exciting for me. 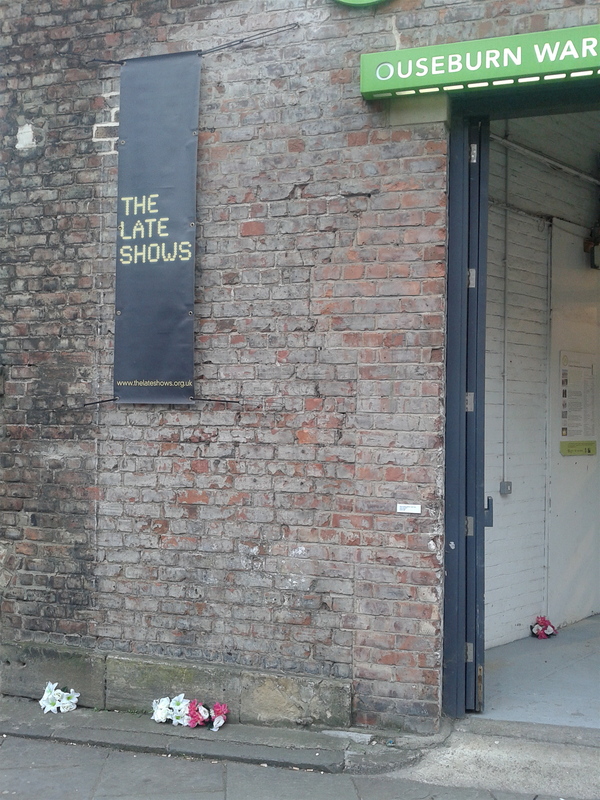 If you were one of those who came along on the Late Shows evenings, you may have noticed some artificial flowers embedded in the cracks along the pavement outside the studios building. 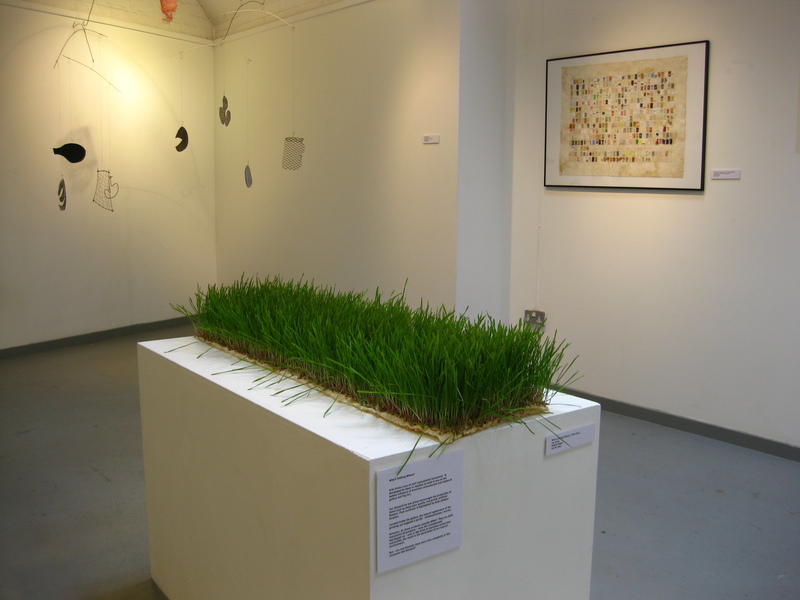 That was one of two such concepts I put together for the show, the other being a plot of rye-grass growing inside the main exhibition. I thought it was a way to reflect Arte Povera ideas, because AP was very much an anti-consumerist movement. On the one hand our demand for low prices for our food and other products encourages the manufacture of poor-quality, garish, artificial flowers. Yet the natural appearance of the growing rye suggests something different – a purity or wholesomeness. However, do these products actually differ? They are both produced to maximise profits – even the rye is a commercially developed, thus ultra-economic, plant – and the result is the decimation of our natural environment. And – can any of us honestly deny our own complicity in this consumer-led demand for quick, fast, cheap products? Which is why I called the two works: ‘Who’s Kidding Whom’?